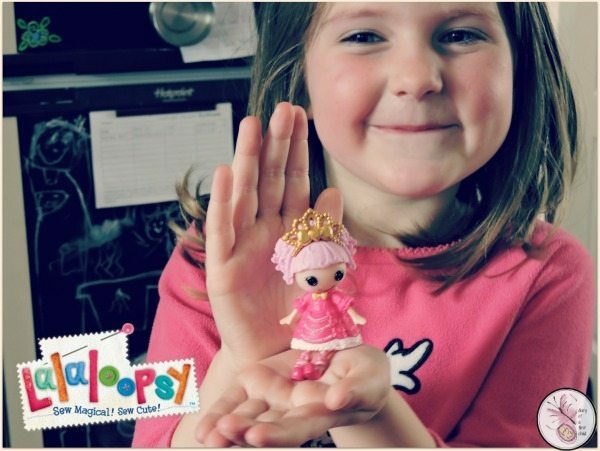 Continuing on the theme of what’s turned out to be a crazy amount of dolls lately, we recently received a Mini Jewel Sparkles Lalaloopsy doll, and since we only received (and expected to receive) one, there were tears in the house! 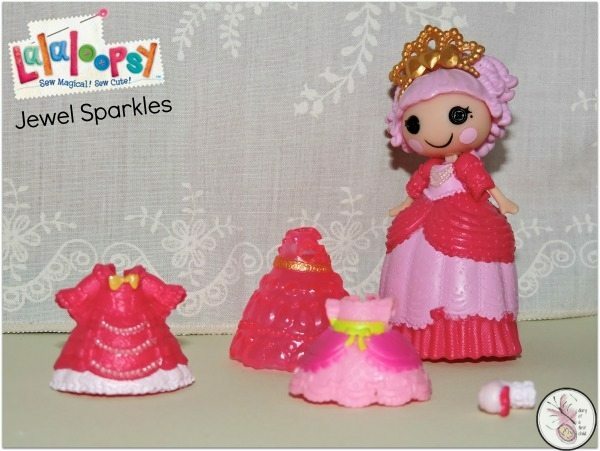 Lalaloopsy dolls were once rag dolls who magically came to life when their very last stitch was sewn, taking on the personalities of the materials that were used to make them, so since Jewel Sparkles came to life on the 13th of March, she seemed a perfect fit for Aviya, who was born on the 13th of March. In January this year, Lalaloopsy launched a Netflix Original Series, an animated series featuring all-new original music that brings to life the popular Lalaloopsy line of dolls. The 13 double episodes are 22 minutes long. In the episodes you can follow the incredible misadventures of six creative friends and their silly pets as they navigate a uniquely extraordinary world. The friends can weather anything with their magical creativity and by sharing their individual talents. The six characters are Jewel Sparkles, Crumbs Sugar Cookie, Spot Splatter Splash, Rosy Bumps ‘N’ Bruises and Dot Starlight, plus the new character, Storm E. Sky! We went for Jewel Sparkles, because she’s all about the pink, which Aviya is, and she shares a ‘sewn’ date with Aviya’s birthday. I was surprised to receive a tiny little doll. I guess the ‘mini’ didn’t register, so she is small, and not suitable for very small children. She has the body of a ragdoll, though plastic, which is quite unusual in appearance, and she can’t stand on her own, though she can when she’s wearing her removable plastic dress. 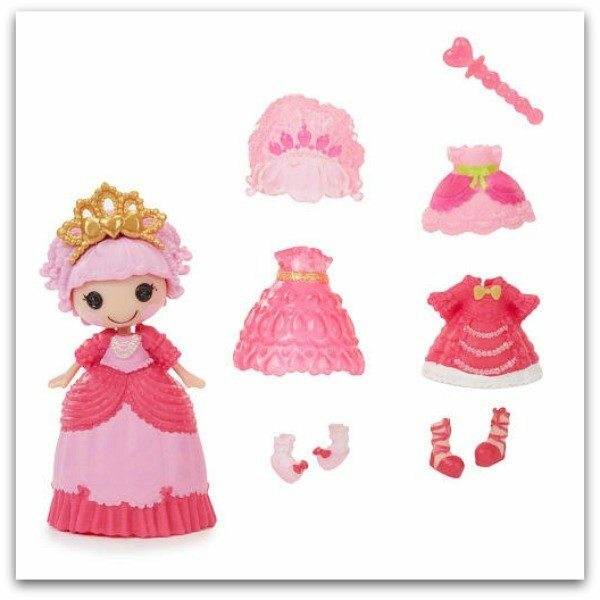 Jewel Sparkles comes with the colour-change dress and two spares, a pair of tiny shoes, a sceptre and a removable crown. The only problem with all these tiny bits is that they go missing quickly! The dresses are plastic so they slide onto the body without needing any fixings for opening or closing, so that’s a good thing. These are very cute little dolls, and they are fantastic little ‘add-on’ style gifts. 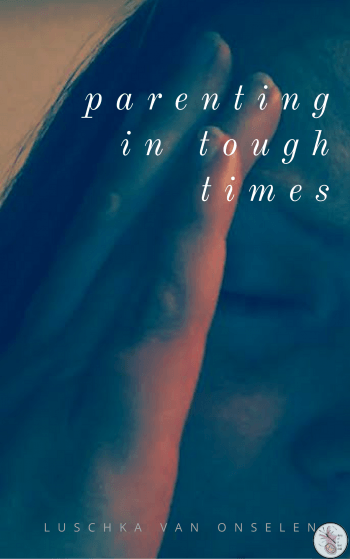 They’d be great for travel toys if your child’s not inclined to drop things and lose them, but more so because at £5 (at the time of posting they’re £4 at The Entertainer*) they don’t break the bank.